To ensure our operators are trustworthy, we make sure that all staff are screened and checked. When you need an emergency response from a 24 hour locksmiths firm that knows everything about security, we are the one for you. 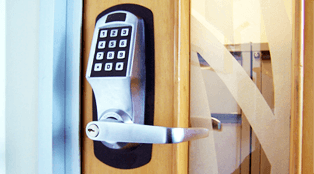 Commercial locksmith deals with the security requirements of any business including burglary repairs, access control and security upgrades where needed. Each call receives top priority to ensure a timely response and the safety of our customers. Whether your home, auto or office, NJ's can help. Why Choose NJ’s Locksmiths Sydney Eastern Suburbs? Are Part of the Locksmith Guild of Australia. Are a 24/7 Service in Sydney. Eastern Suburbs and Inner West. Are Reliable, Always on Time and FriendlyService. Residential & Commercial Dwellings, Autos and Home Security. Our Products & Workmanship Are Covered by 12 Months Warranty. Around The Clock, NJ’S Locksmith Have Fully Equipped Mobile Units To Attend To Your Emergency Anywhere Anytime. Each call receives top priority to ensure a timely response and the safety of our customers. Whether your home, auto or office, NJ’S can help with prompt response as we are just a phone call away. Call us today for your locksmith needs and we wont disappoint you. NJs Locksmiths are a competitive Locksmith Company in Sydney ready to take your call, be it regular or emergency work. Need a Locksmith? Located in the Eastern Suburbs NSW,we offer 24 hrs, 7 days Emergency Locksmith services in Sydney, Eastern Suburbs and the Inner west regions. 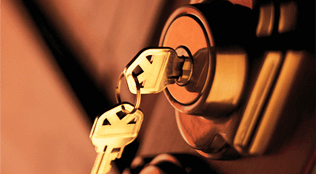 NJ’S Locksmith’s offers general and Emergency Locksmith solutions. We specialise is residential, commercial and auto locksmithing. We are are Australian owned company that is fully licensed and insured, and offers roud the clock service. When you call NJ’S Locksmiths, we provide 1 year guarantee on all our work and ensure to use best products from top rated brand manufacturers. You also get this at the most competitive rates in the industry. Car Keys Replacement/ Duplicate Car Keys/ Transponder Keys. Insurance approved Deadlocks & Window Locks. Supplied & Fitted, Repaired, Serviced. Keys duplicated on-siteScreen & Roller door locks. Nj Locksmiths Sydney are professional and highly skilled, experienced who understand the urgency of your emergency and the need for a high-quality job to ensure safety. We respond in the shortest amount of time to tend to your commercial, auto, and residential locksmith needs. We do not have branches in other cities but recommend Locksmiths Perth 247 in Perth WA. When you call NJ’S, we quickly send a licensed Locksmith to your location without delay. When you have an emergency locksmith situation, you need the fastest response from a trusted and reliable locksmith.